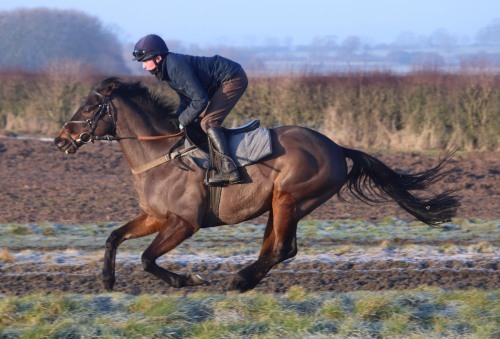 Space War is a real yard favourite and joined us from John Gosden as a three year old. 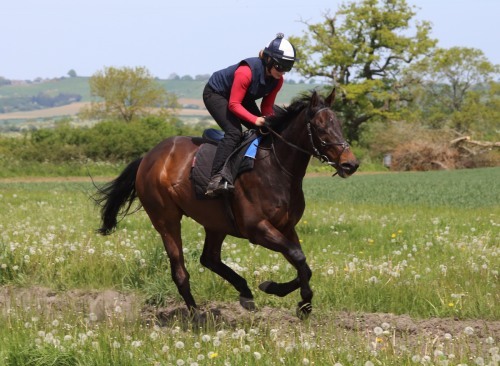 He is a versatile sort, effective from 6 furlongs to a mile, both on turf and the all weather. Spacey is a lovely ride for an apprentice or amateur jockey and he has won for Anna Hesketh, twice for Nathan Evans and twice for Joanna Mason. His latest win came at Wolverhampton where he gave apprentice jockey Ryan Timby his first winner. Space War loves going out in the field and he really knows how to get mucky!! HEAD: Mixed hair star midline above eye level. Median whorl mid eye level. NECK: Whorl left crest upper third on poll. Whorl right crest middle third feathered up and down. Midline throat whorl.